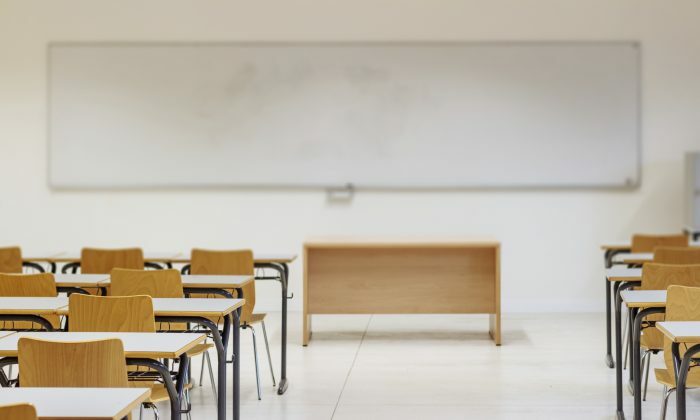 A school teacher from Orange County, Florida, was fired from his job after a student said he threw a pair of scissors in class—hitting her in the face. The teacher, whose name has not been revealed yet due to the ongoing investigation, was an eighth-grade science teacher at Orange County’s Westridge Middle School on Oak Ridge Road, NBC affiliate WESH2 reported. The girl said she had reported the incident to a counselor the day it happened, but her mother said she learned about the incident from her daughter’s Snapchat messages, not the school, KPRC-TV reported. The unnamed teacher sent a photo to WESH2 of what he claimed to be a similar pair of scissors, they had blunt ends. He said he threw the scissors in frustration over another student’s misbehavior. But that excuse does not sit will with Olivera. The teacher did admit to throwing the scissors, but he denied they ever hit the student’s face and said he didn’t know how she received the cuts. “I don’t think I am in trouble. I threw the scissors in frustration, but not near any student and she was not hurt. I saw her face in class and saw the gash and I have no idea where that came from. That could not have happened from the scissors,” the teacher told WESH2. But the girl gave a conflicting report of what happened. She said when her teacher threw the scissors across the room, it ricocheted off a whiteboard and hit her in the face, leaving her with scratches, KPRC-TV reported. As of writing on Wednesday, Oct. 25, the teacher has not been charged with any crime. The Orange County Sheriff’s Office is conducting an open investigation into the incident.